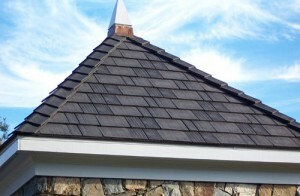 Your home’s roof has many functions, one of the most important of which is keeping water out. If your roof is unable to keep the water out, then you end up with ruined possessions, water damage and huge repair bills. Save yourself the hassle of dealing with a leaky roof and all of its consequences. Here are five ways to avoid leaks in your roof and save yourself hundreds of dollars. Your roof’s design is not the place to get fancy. Complicated roof designs not only cost you more, but they are also more prone to leaks. The more valleys your roof has, the more places water can pool and cause damage. Choose a simple gable or hipped design for an attractive roof design that is less likely to cause problems. When choosing your roofing materials, be sure to choose something practical as well as something attractive. Asphalt shingles are one excellent choice since they are easy and affordable to repair. Steel roofing is an excellent choice as well, since it tends to last for a long time. No matter which design and materials you choose, your roof is only going to keep you dry if it is installed correctly. Hire experienced, professional roofers like North York Roofers roofers T. Simpson Roofing. While experienced roofers may cost more upfront, hiring quality roofers will save you a bundle in the long run. If you notice a small leak in your ceiling, do not wait and hope for the best. Leaks only get bigger with time, and the damage they cause in the meantime can be very costly. Fix any and all leaks as soon as you notice them to minimize the damage. Asphalt shingle roofs typically last 20 years, while clay, concrete and copper roofs can last as long as 100 years. All roofs do need to be replaced eventually, however. Otherwise, they wear out and start to leak. By replacing your roof when it needs it, you can avoid this. While some homeowners may think that an occasional leak is unavoidable, the truth is that there is no reason your roof should leak if you follow these five easy steps. With a little bit of maintenance and repair, your roof should function as a very effective seal between your home and the outside elements, keeping you warm and dry. Hi there, nice share. Whether we like it or not, an even well-built roof will wear out. It’s very important to regularly check your proof for damages to keep your family safe all the time. I like your point about how asphalt shingles are easy and affordable to repair. They also seem to look great. I have an old three tab shingle on my gabled roof. The shingles are starting to peel and come off. It might be time to get a new roof installed. If we do replace our roof, I’d want to get a professional to do it. I don’t have the time, tools, or experience to try and remove and replace the shingles on my own. Well, a leak coming through your ceiling means there is already a lot of water between your roof and your ceiling. It takes awhile for the water to actually penetrate the drywall. So if you are experiencing a leak, you should get it fixed asap, as in… today. Otherwise you will have a lot of other problems on your hands. there is not about saving of hundreds of dollars, leaking of roof can be dangerous. whenever see the leakage on roof we must contact with professional roof repair contractor. Thanks for sharing useful and effective information!